﻿ What is SMT? - SMT topic - H.C.C. INTERNATIONAL LIMITED. SMT is the abbreviation of English Surface-mount technology, translated into surface assembly technology, is an electronic assembly technology, which is to install electronic components, such as resistors, capacitors, transistors, integrated circuits, etc. on the printed circuit board, and Electrical bonding is formed by brazing. The components used are also referred to as surface-mount devices (SMD). The biggest difference from the through-hole technology is that the surface mount technology does not require a corresponding through hole for the component pins, and the surface mount technology has a much smaller component size than the through-hole technology. By applying surface mount technology, the overall processing speed can be increased, but the risk of defects in the board is increased due to the miniaturization of parts and the increase in density. 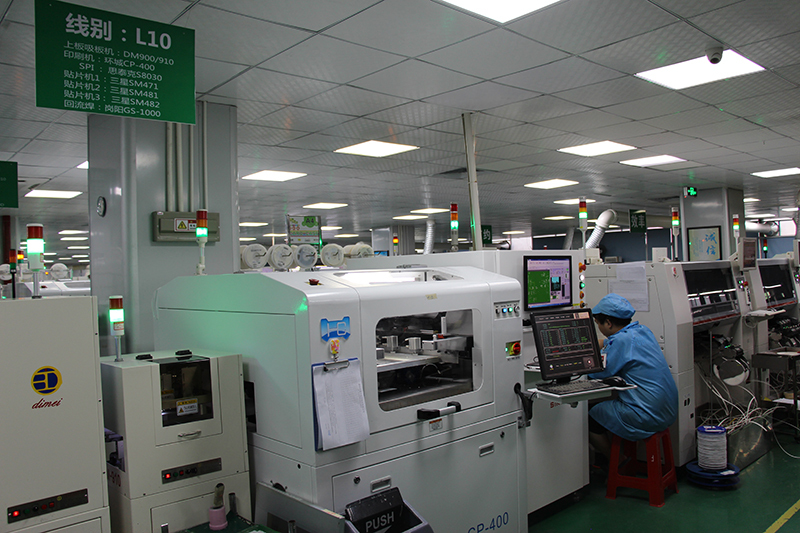 Therefore, in any board manufacturing process of surface mount technology, error detection has become A necessary part. Plate feeder: The PCB board of the hole is fed into the solder paste printer through the plate feeder. Solder paste printing machine: Solder paste is printed on the PCB board pad. Solder paste detector: Check whether the solder paste is printed correctly, whether there is any missing or misprinted. Mounter: The process of placing components on a specified PCB board through the machine. Reflow oven: The process of soldering components to a PCB board through a reflow oven. Automatic optical inspection machine: mainly check whether various mounting or welding on the PCB is wrong. The whole process of SMT basically adopts machine automation production, manual operation and visual inspection, and there are not many production personnel required. Prev: Will the factory pick up small batches of SMT patches? How is the SMT patch price calculated? Will the factory pick up small batches of SMT patches?